Finished this piece today, all hand cut by me! 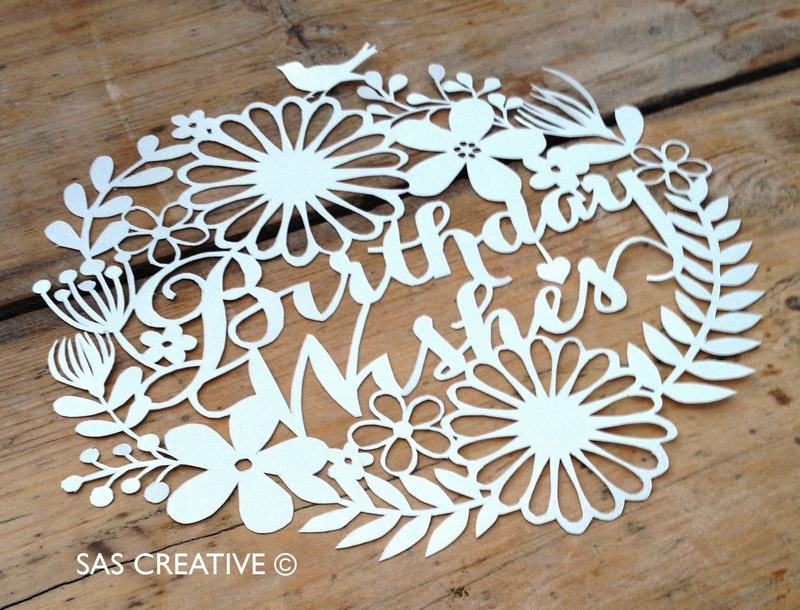 Will turn it into cards this evening, but I had fun cutting it out myself. Plenty of practice needed, but it was an achievement, and feel satisfied. 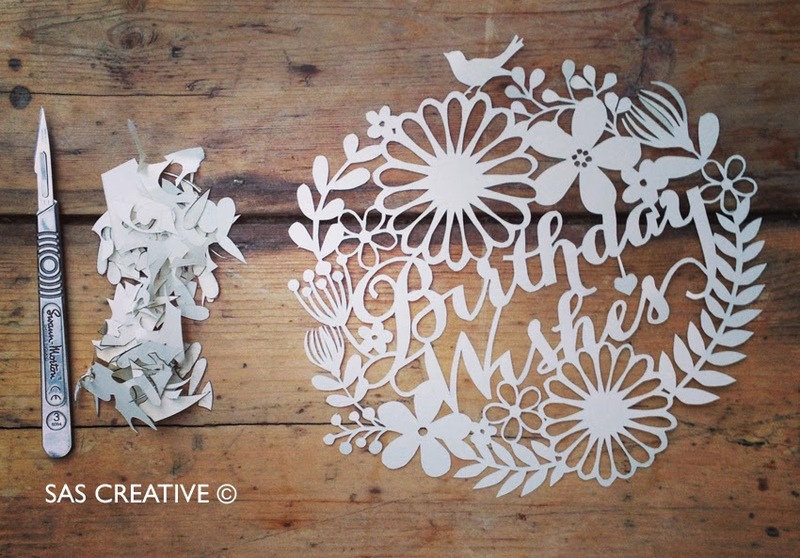 I won't be doing many cut by hand as I just don't have the time and even though the majority of my designs are cut by machine, digital and laser, they still hold the magical sparkle and fascination papercutting gives. 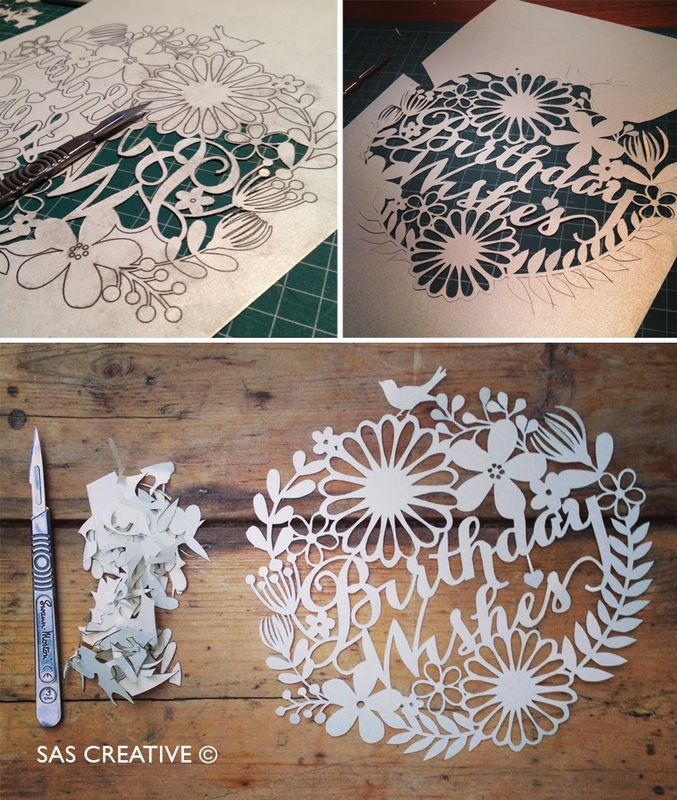 I want to dedicate my time to each design, after all i'm a graphic designer foremost and where my passion is for typography, papercutting is just my means of expressing it onto paper instead of printing.